Are there any two words more sweeter in the writers vocabulary? At 92,705 words, I’m done. The novel rewrite is complete. I have poured my soul out onto the digital page for the last six months, and all the hard work, sweat and tears, have finally paid off with those two little words – The End. There’s a high that comes with finishing a novel, or any writing project. I’m still riding that wave a couple days after finishing (I wrote The End late Wednesday night), but I know I’m gonna come down sooner or later, and what always follows a high is a low, a crash. With writing, it’s that moment where you start thinking – Okay, now what? First off – the work isn’t done. Just having the completed manuscript is a fantastic achievement, but now I have to get it ready for query. This means, finish up those last bits of editing, write a query letter, write a synopsis, research agents (actually, I’ve already written the query letter & have agents in mind…) – then send it out and wait. There will probably be lots and lots of waiting. Maybe a couple of, “hey – I’d like to see more…” type emails. But the work isn’t done, not by a long shot. Next, I have to figure out the answer to – Now what? Can’t rest on my laurels because I don’t have any laurels to rest on, and besides, I think laurels would be scratchy to rest on. Plus, I think their leaves look all pokey – they’re probably poke right up through your clothes, dig into your skin – I mean, COME ON! Who want’s that?! No, I have to pick the next project to work on. 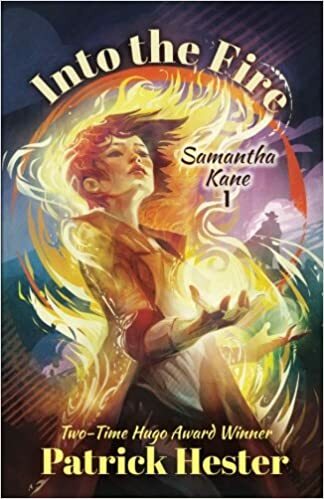 Is it the continuation of Sam Kane’s story? Is it my envisioned rewrite for Cord Cahill? Is it the rewrite of Evermist that I have wanted to do? What about that space opera that’s been kicking around for years? So many choices and I need to make the correct one. Maybe it’ll be something completely different. Maybe it won’t. Regardless of what I choose, you know I’m gonna talk about it here, right? I vote for a Cord Cahill story. Big Congrats! I should have realized you were done when you were tweeting about getting that punctuation hose from Ty, but I didn’t. I vote to pursue next whatever you want to do the most of. I imagine that early on you can become defined as an author and you want to keep that definition as well rooted to what you want it to be as you can. ‘Course we’re all so much more connected now, that any author that can keep that “in your face” kind of presence can maybe bypass being typecast. Good luck with the rest of the process.